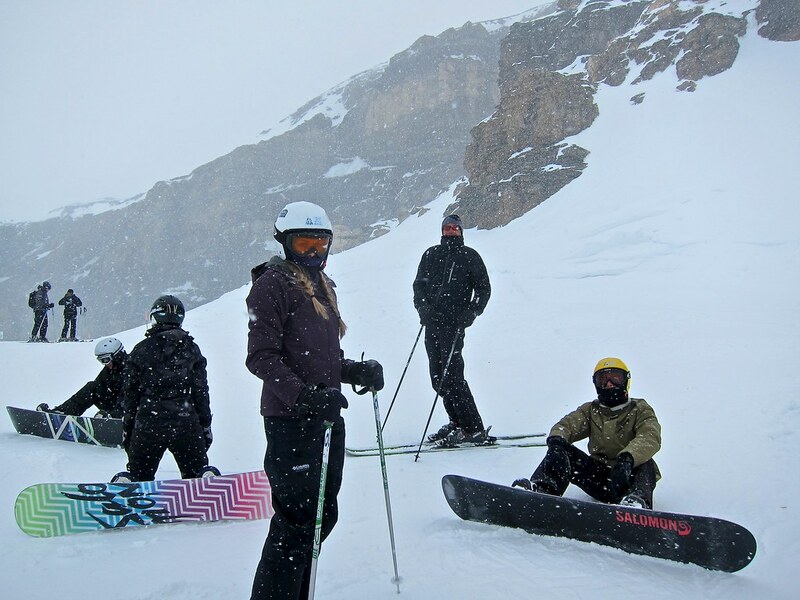 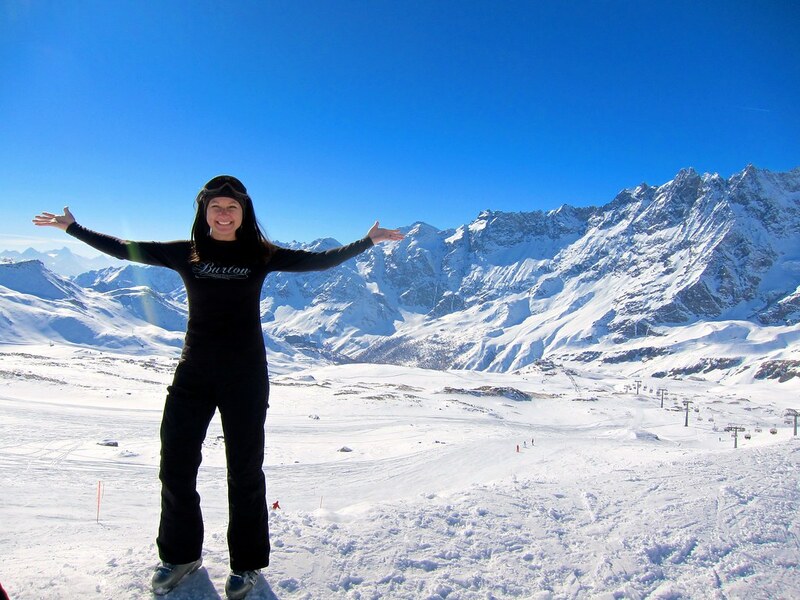 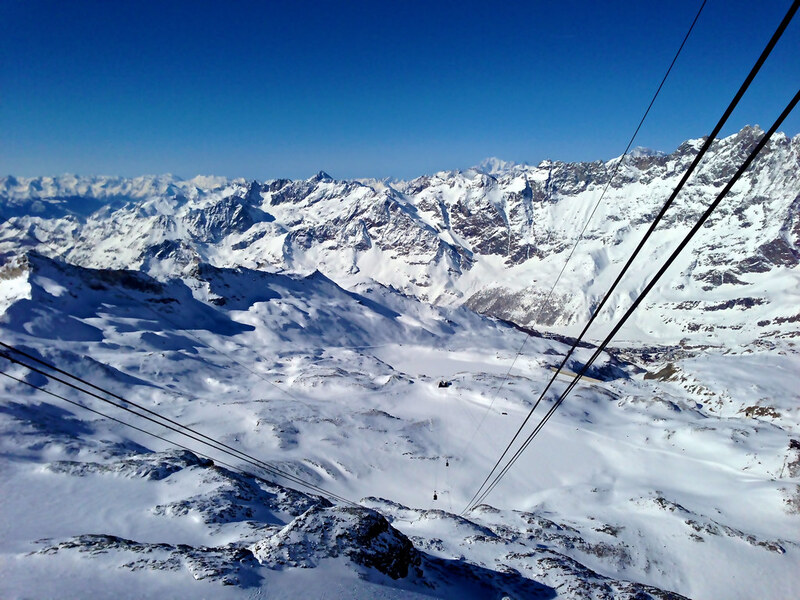 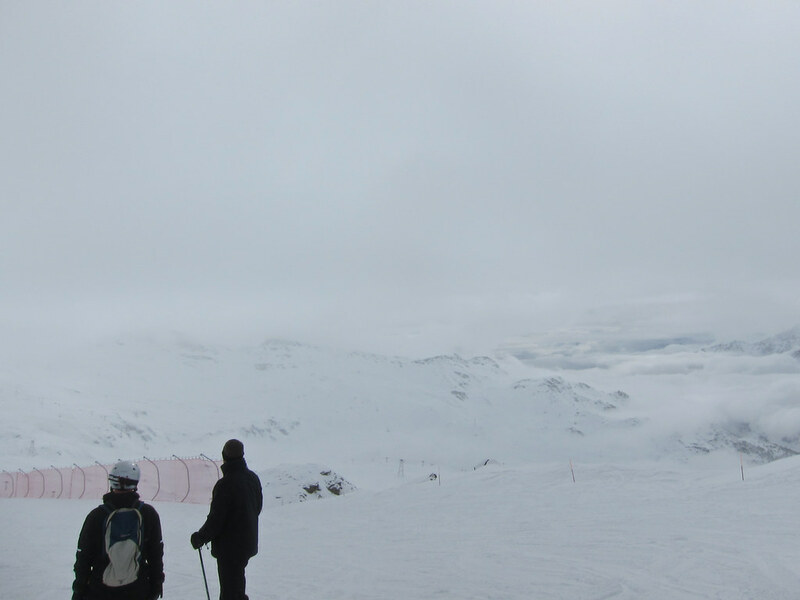 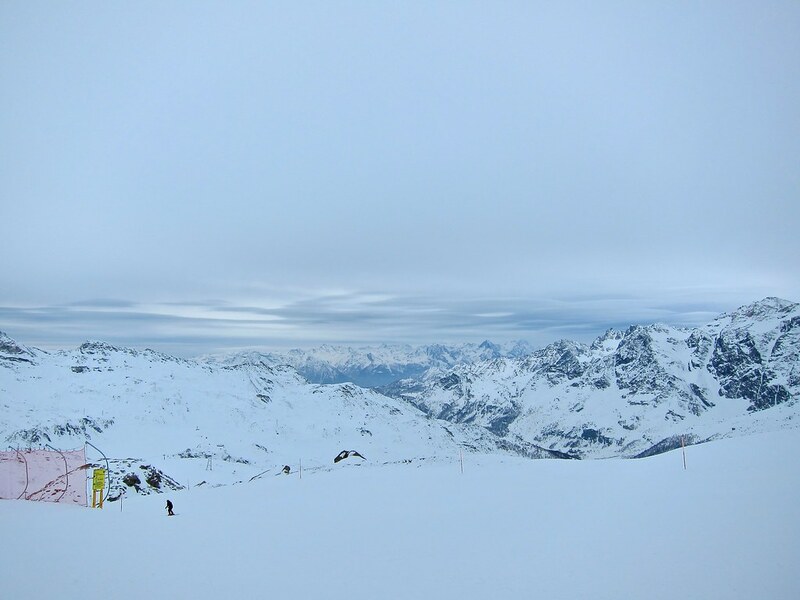 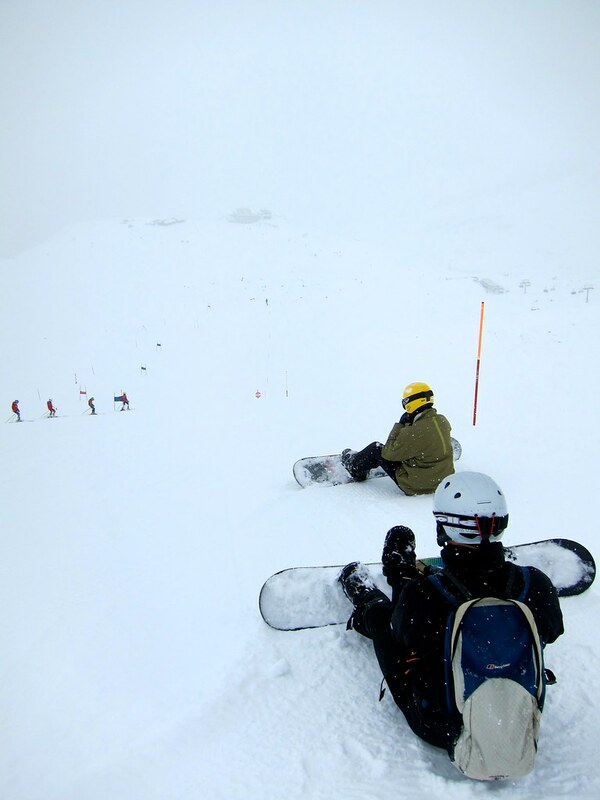 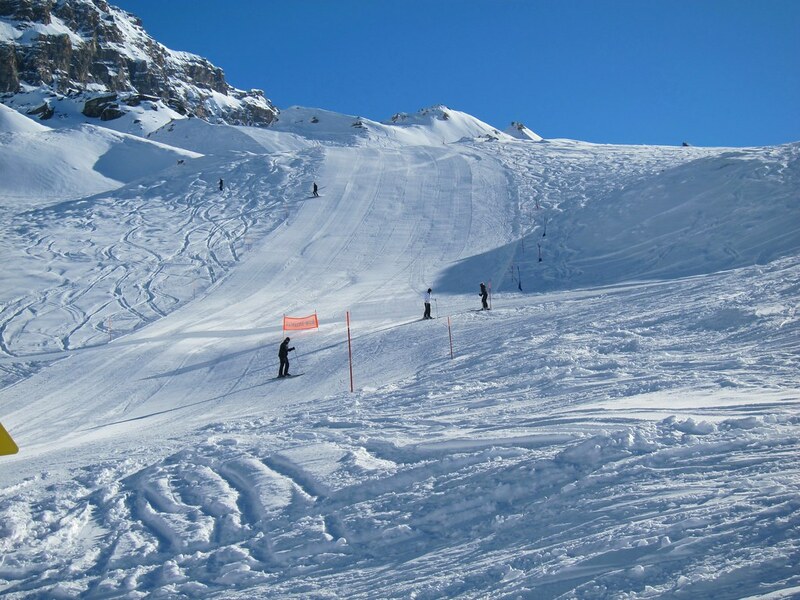 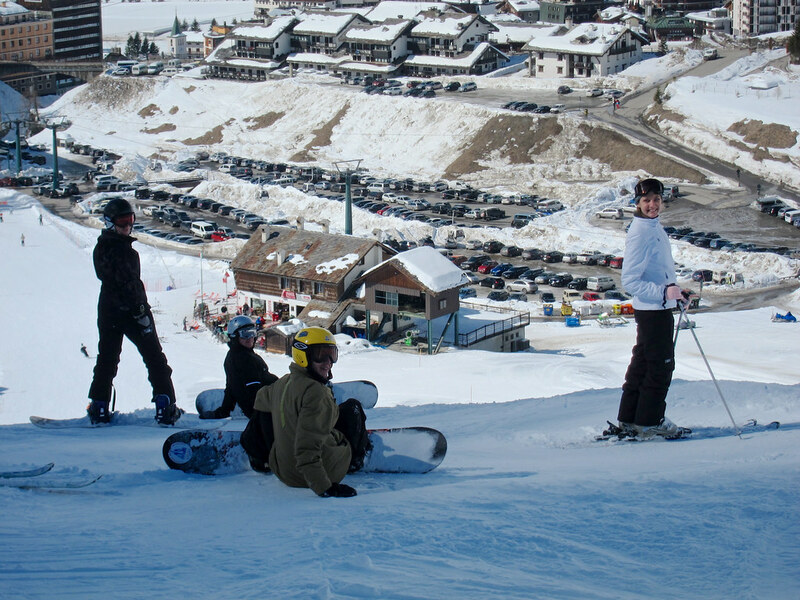 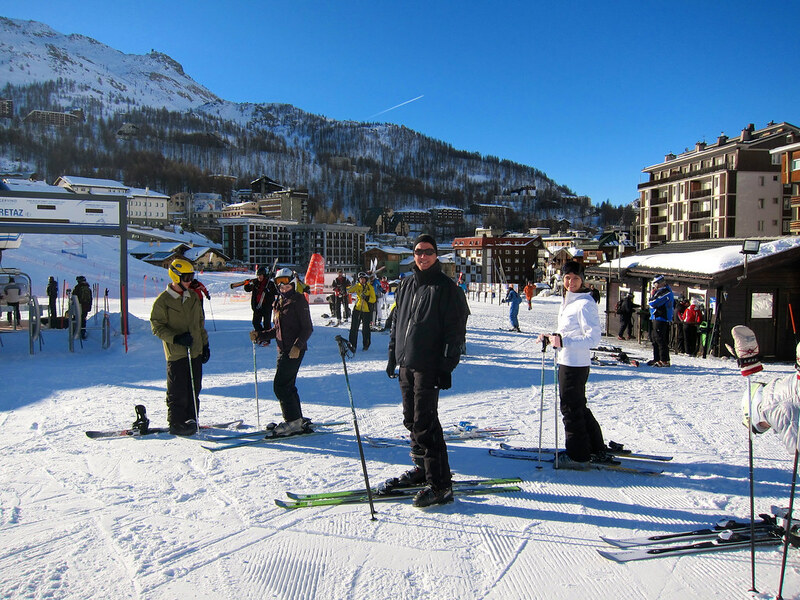 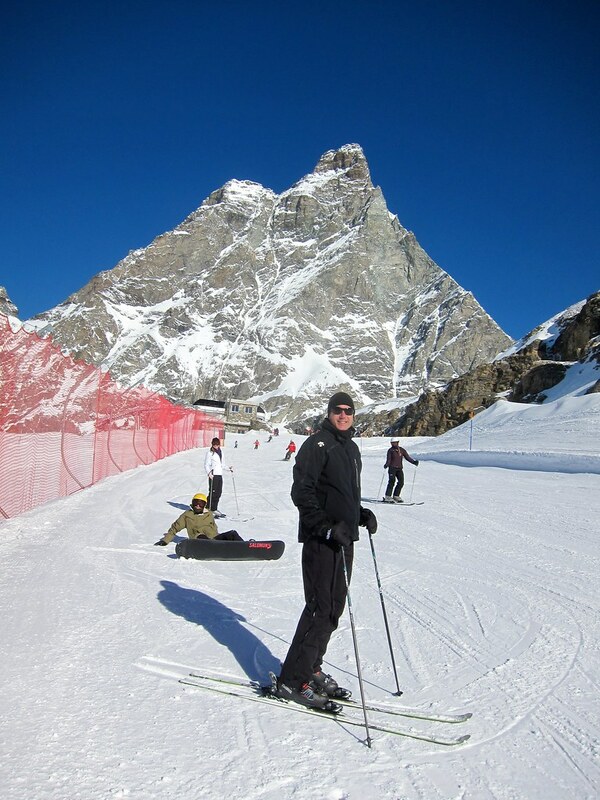 In March 2013, went skiing in Cervinia, Italy over Spring Break. 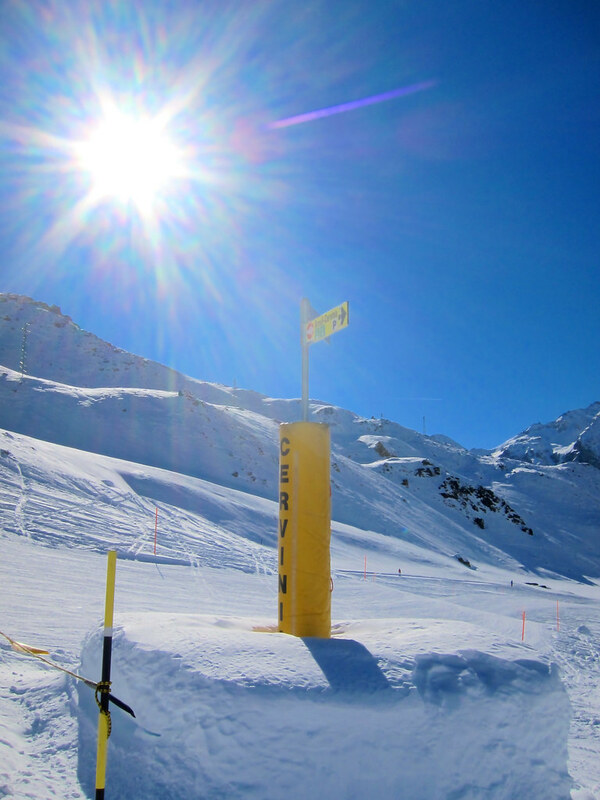 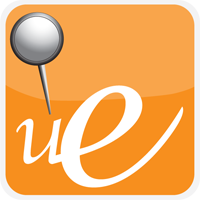 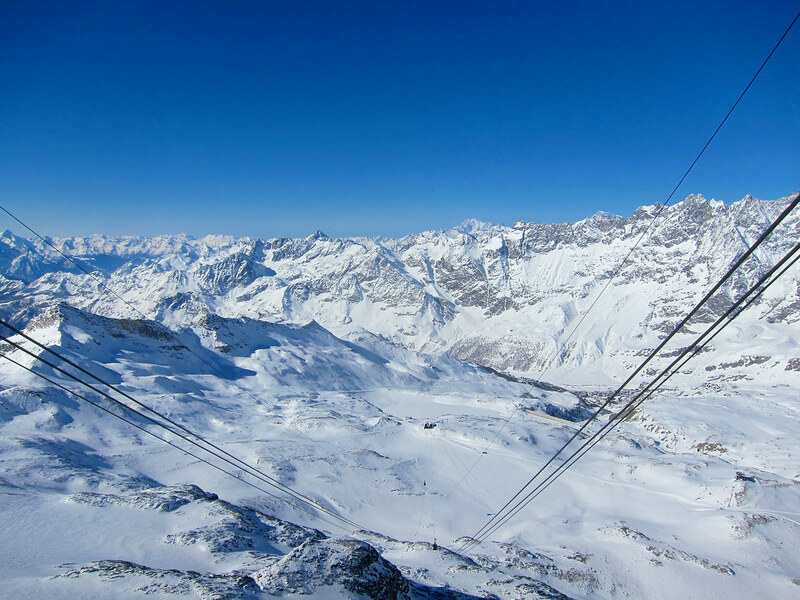 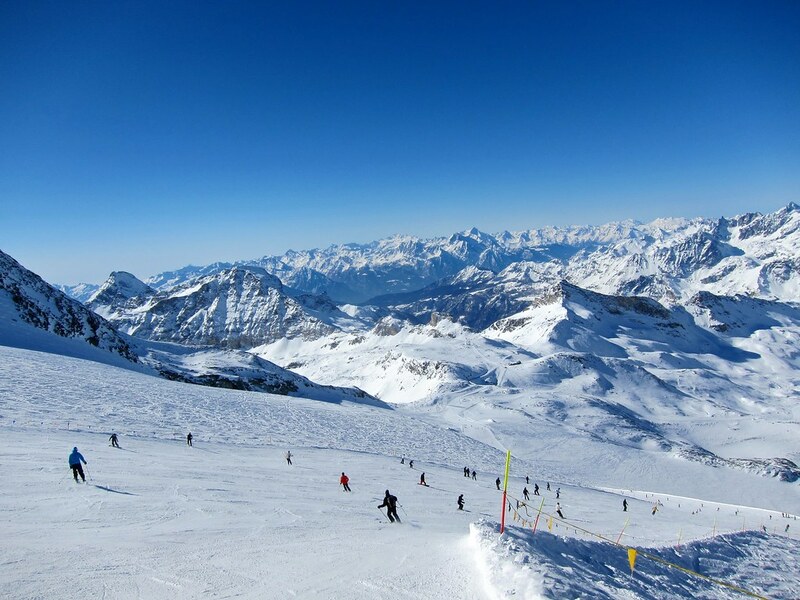 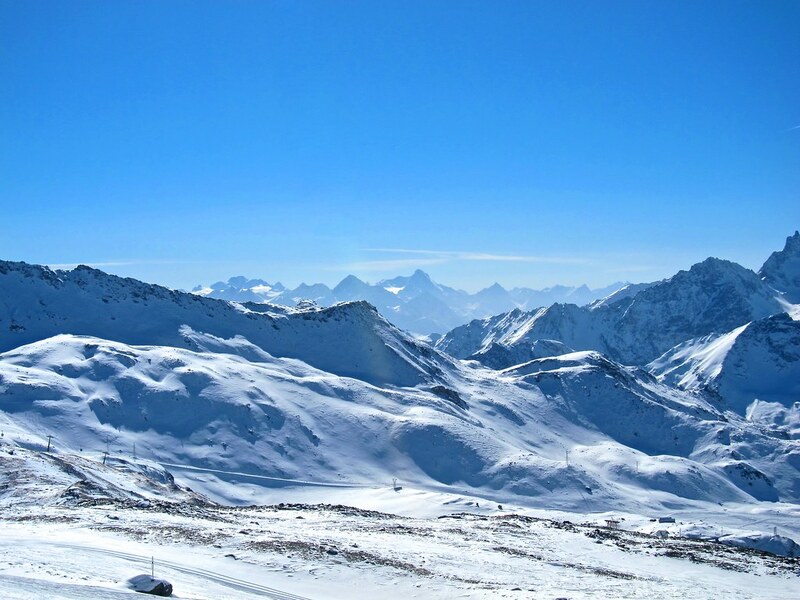 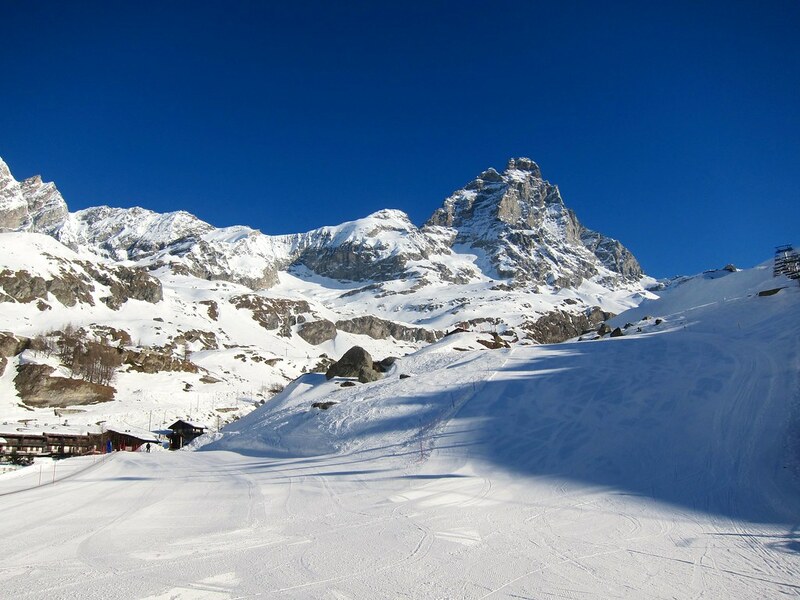 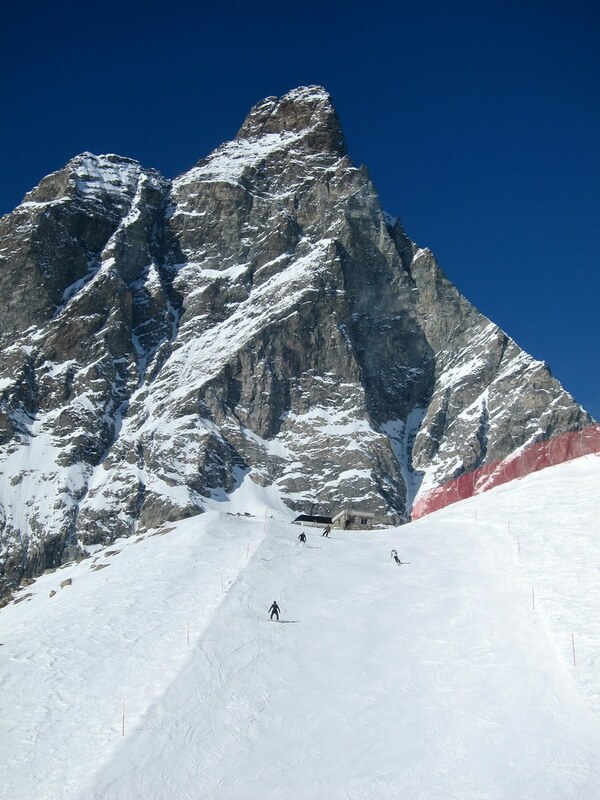 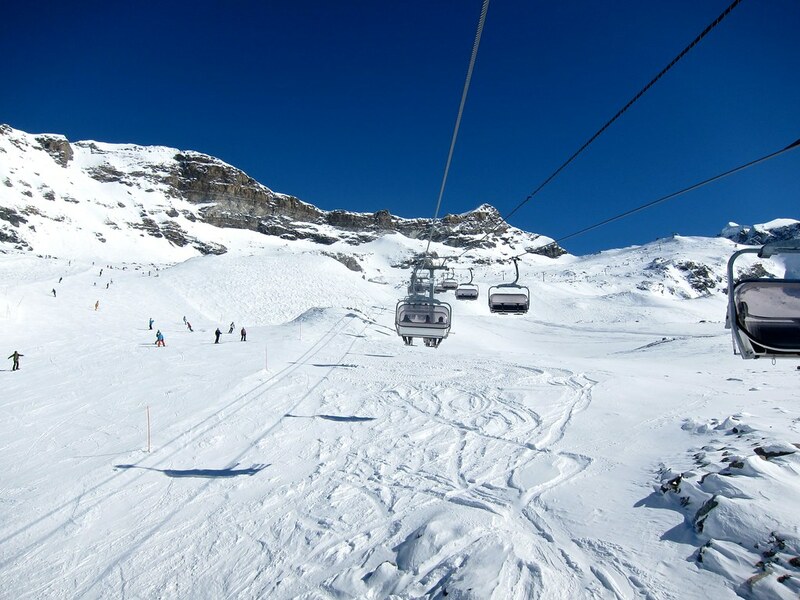 Breuil-Cervinia is in the Valle d’Aosta region of Italy on the Swiss-Italian border. 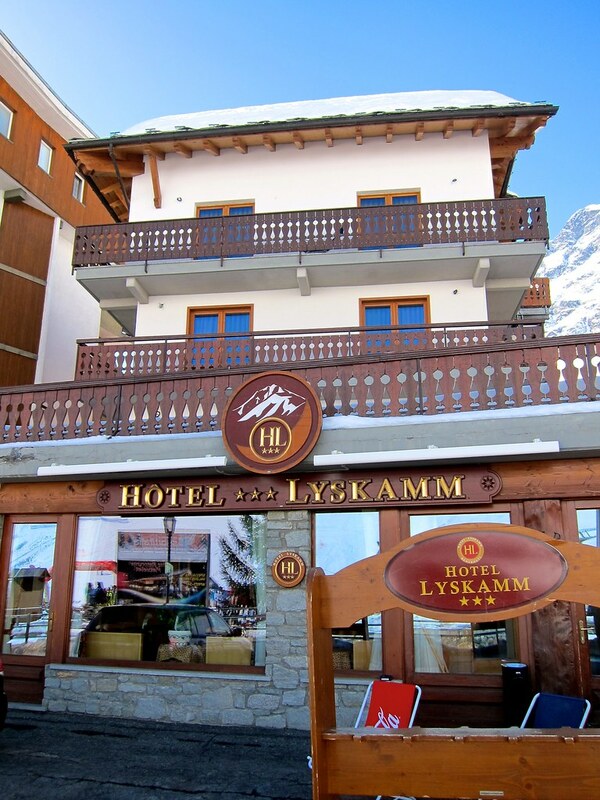 We booked a couple of rooms at Hotel Lyskamm, a charming hotel just a short walk from the Cretaz chair lift. 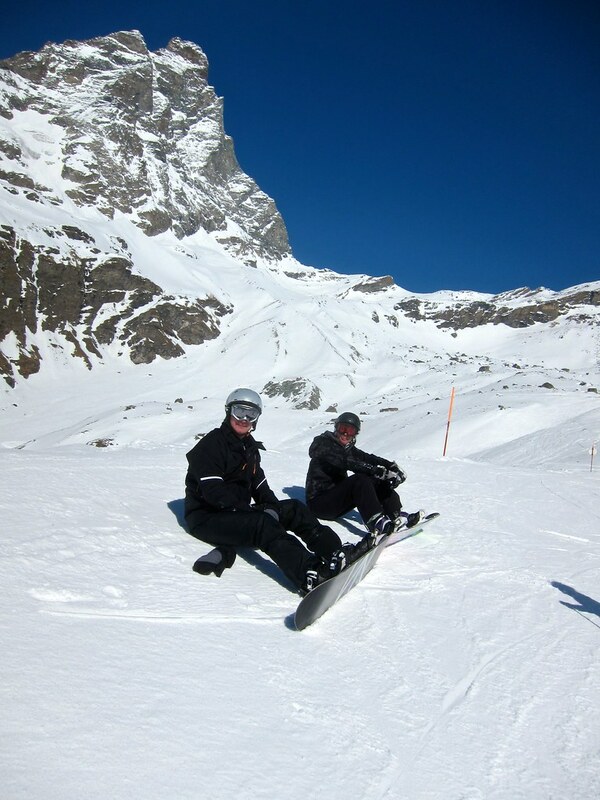 John and I skied in Cervinia back in 2011 when we stayed in Zermatt, the Swiss side of the ski resort. 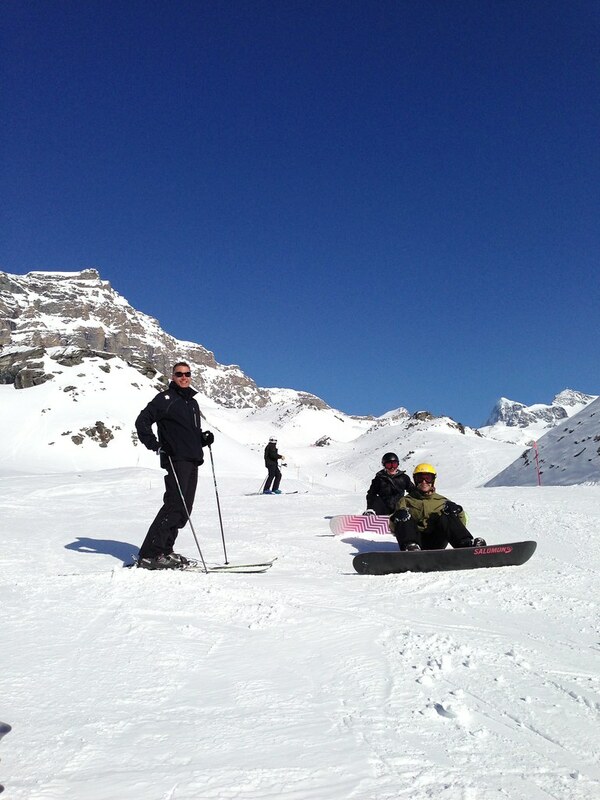 We were excited to return and position ourselves on the Italian side. 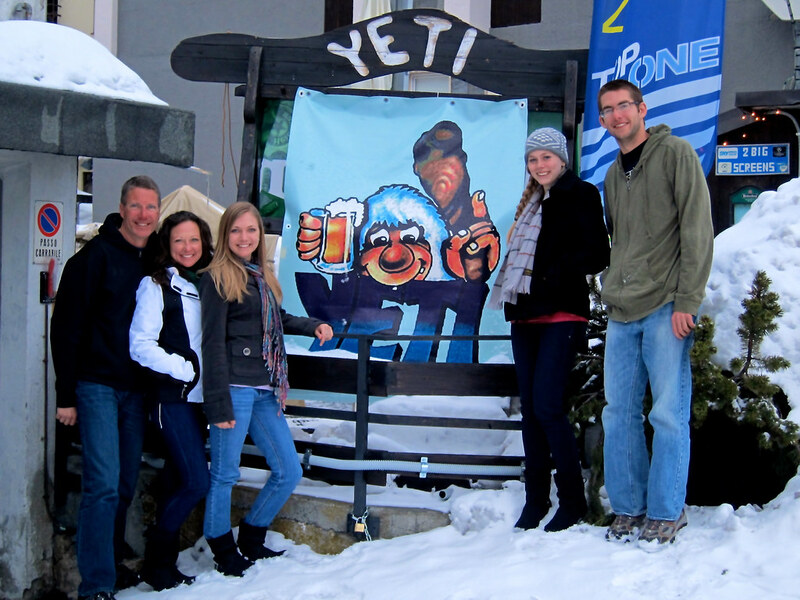 Our friends, John and Julie, met us there for part of the week. 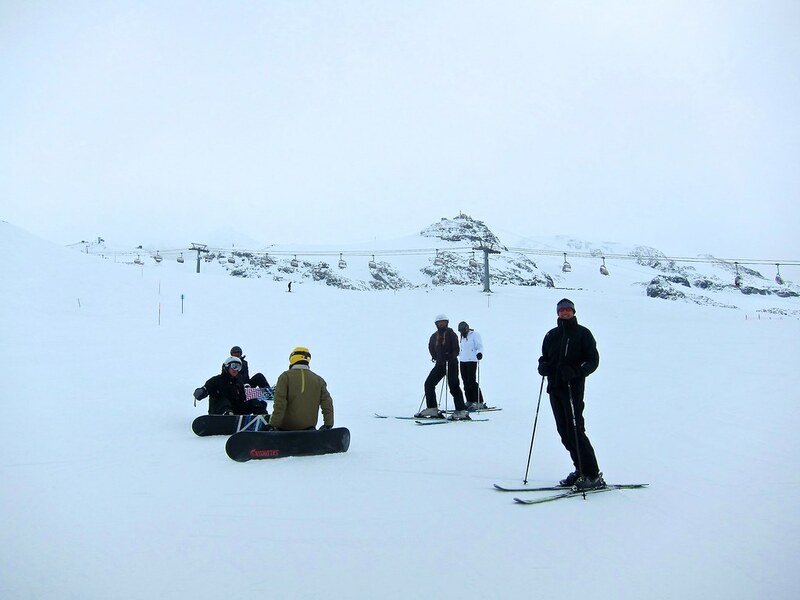 They live in Scotland so we like to find excuses to meet-up. 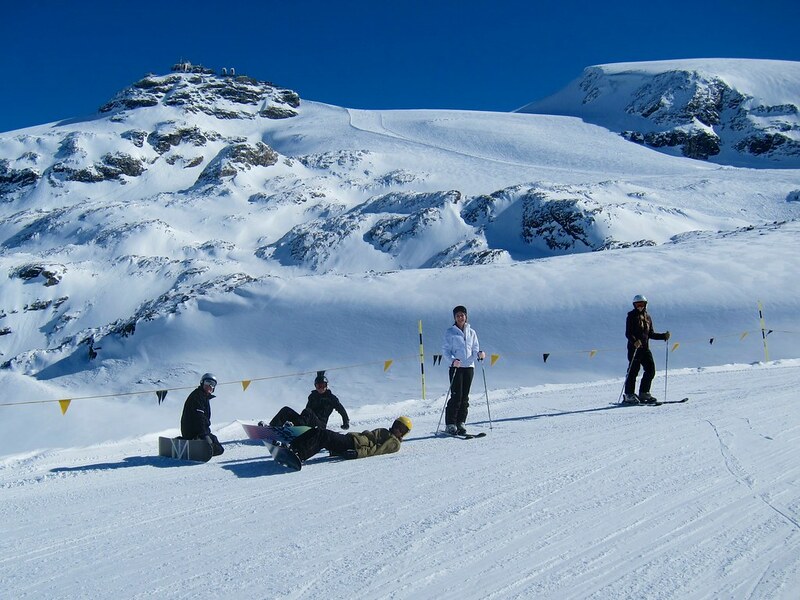 Skiing is a great excuse! 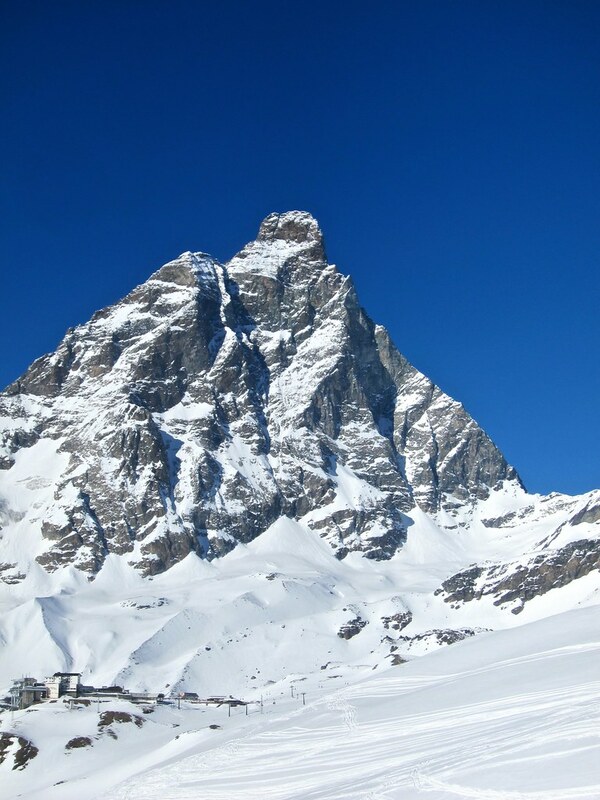 The Matterhorn is one of the highest peaks in the Alps at 14,690 feet high. 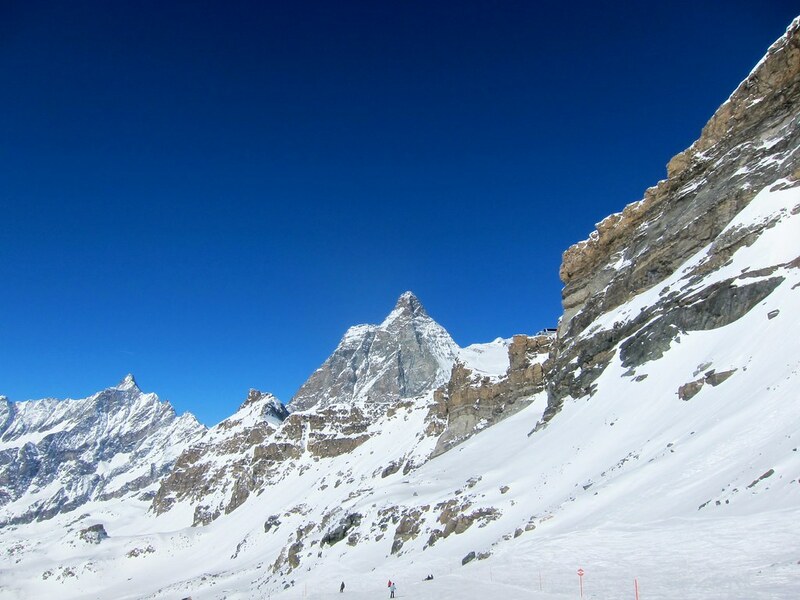 It is on the border of Switzerland and Italy and offered a stunning backdrop for the week. 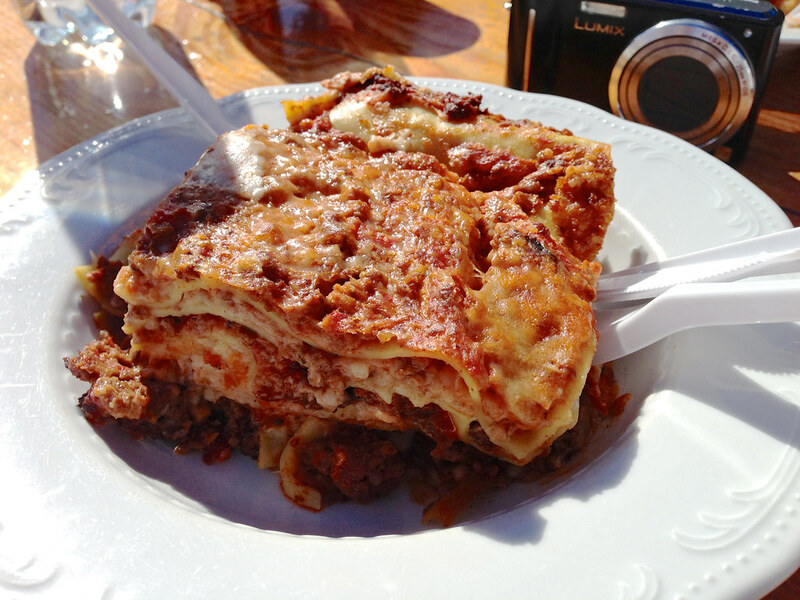 Another advantage of skiing in Italy is the amazing food you get to eat. 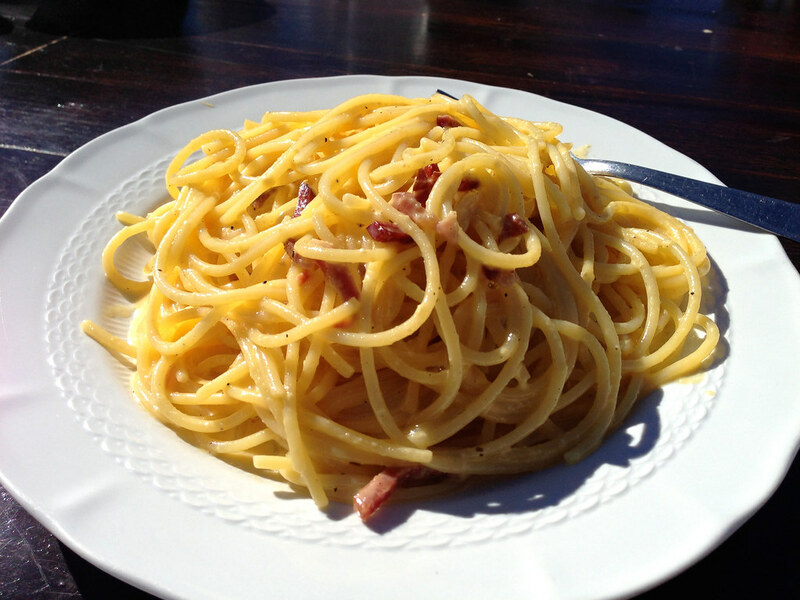 We ate pasta and pizza all week. 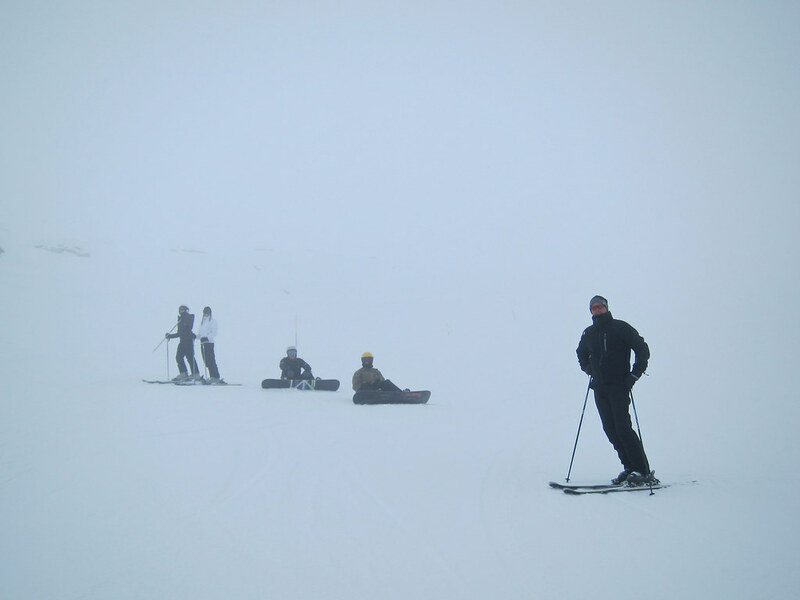 But the visibility was pretty rough at times. 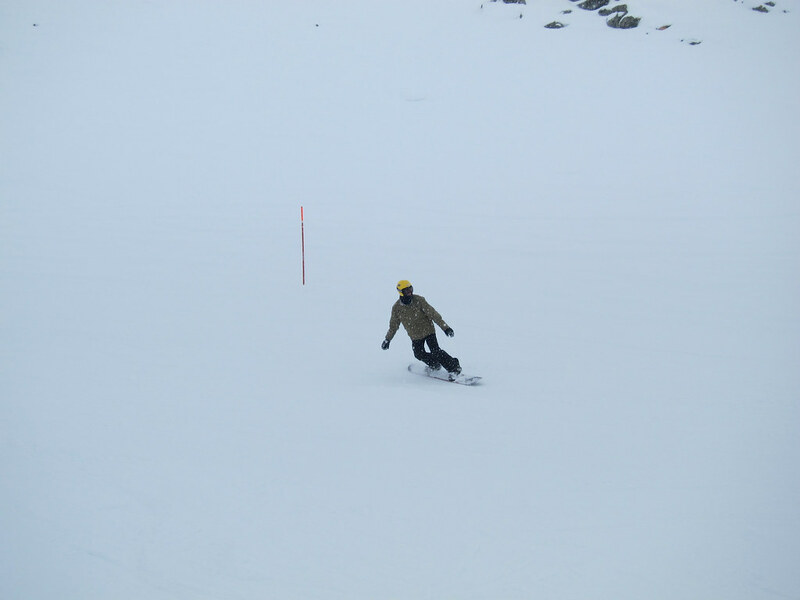 It didn’t hold us back much, though. 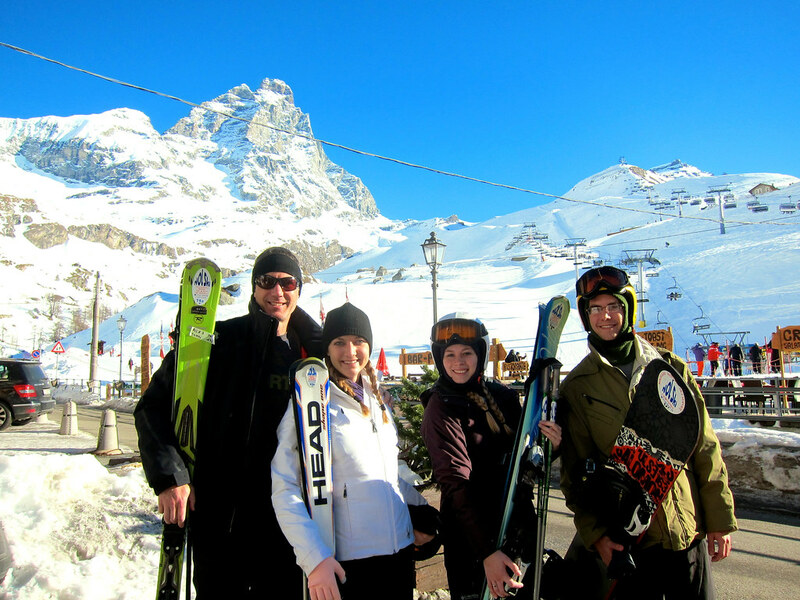 Family, friends, skiing, and the Alps. 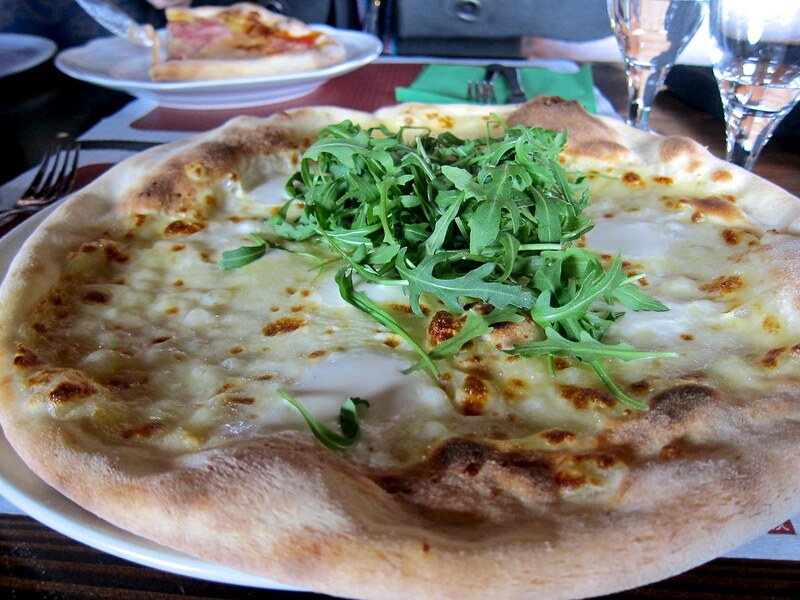 . .
It’s hard to go wrong with those ingredients!